The little port of Bourg, some twelve miles due north of the city of Bordeaux, overlooks the confluence of the great Dordogne and Garonne rivers; henceforth they collectively form the Gironde estuary. On the distant bank lie the famous vineyards of the southern Haut-Medoc – Margaux, Cantenac and Ludon. Important when Aquitaine was under the English crown and the town held some significance in the export of wine, the vineyards which lay on the limestone escarpment and its hinterland were once held in far higher esteem than those of the Medoc. Today the town possesses an air of sunkissed, if sleepy, decay, an effect which might easily be perceived as being reflected in the wines traditionally produced in its appellation, the Côtes de Bourg; solid, but perhaps uninspiring, a little old fashioned. 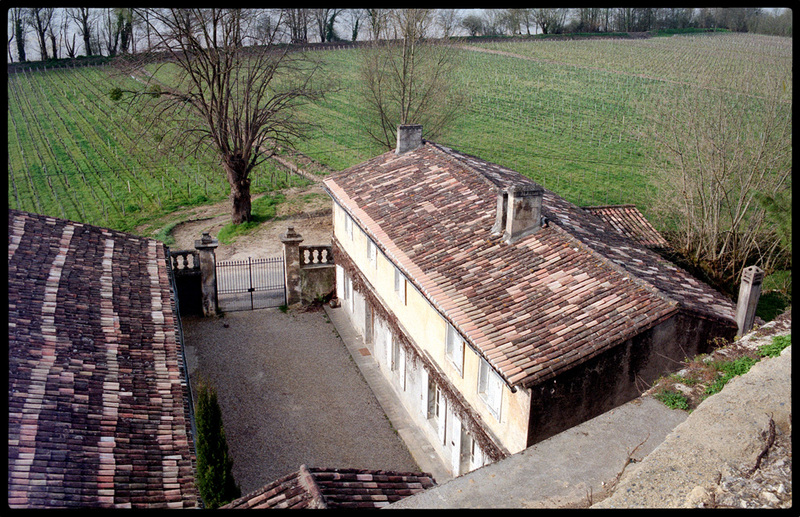 In 1988 Francois Mitjavile, owner of the then rising-star St.Emilion Château Tertre Roteboeuf, heard of a vineyard which was on the market here. He visited, and was immediately struck by the similarity of the limestone escarpment and aspect with that of St.Emilion – it is essentially a continuation of the same geology – and the unique setting of the vineyard, which comprises a pair of natural amphitheatres overlooking the river, the ‘great thermo-regulator’ which would provide protection from both frost and extreme heat. 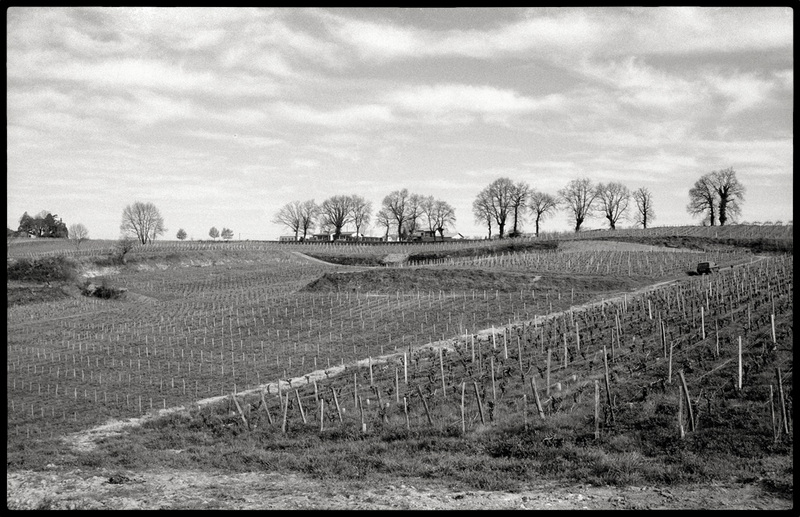 He persuaded his bank to back him, and immediately set about breathing life back into what he had intuitively perceived as a sleeping beauty, its 14 hectares of venerable vines split roughly equally between Merlot and Cabernet. Today, Chateau Roc de Cambes is recognized by lovers of fine claret as not merely the leading wine in the appellation, but as one which can sit very comfortably at the top table of all of Bordeaux. That it is very often better than much that is produced in the famous appellations across the river is perhaps not the point – it arguably leans more towards St.Emilion than the Medoc – but it is both great and original in its own right. The hand of a quiet genius is clear, for the familial link to Tertre Roteboeuf is undeniable. Perhaps more characterized by red and berry fruit – cherries and blackcurrant – to the opulent spice of Tertre, sometimes more roasted, it is a wine which drinks beautifully from its youth, yet is fully capable of staying the course, developing breathtaking, thrilling finesse, depth and complexity over anything up to 20 years. The Domaine de Cambes cuvée comes from the flat, predominantly alluvial palus at the foot of the Roc amphitheatres (photo above), and as such does not qualify for inclusion in the senior wine. It comfortably dismantles and redefines any preconception one might hold regarding mere Bordeaux Rouge, for the hand of an intuitive genius is no less present in this wine than in Roc de Cambes itself. If not quite the bargain it once was, it comfortably outclasses many a more pedigreed bottle, and is bought not to sell on, but to drink, by those relatively few canny wine lovers who are on the inside track. Varieties: 65% Merlot, 20% Cabernet-Sauvignon, 10% Cabernet-Franc, 35 years old.